Want to display your newly purchased miniature art pieces but have no idea how to do it in your home? The challenge that comes with showcasing miniatures is that, despite their cuteness or beauty, they are hard to notice, especially if you place them next to larger decorative items. For something so tiny, of course, you want it to be seen rather than hide it. Worry not because this article will help miniature art collectors like you to make your guests appreciate our new house decors without the need for the use of a magnifying glass. Here are some clever ideas you can use to give your miniature decors their much-needed prominence in your home. Who says windows have to be decorated only on holidays? Whatever the season is, you can make your windows look much more interesting by hanging your miniatures in them. You just need strings and hooks to get the job done. It could be a lot of work though taking them down though when you want to clean your windows. We had a window cleaner from http://www.windowcleaningconejovalley.com come in to clean our windows for the Christmas Holiday season last year (a little plug for Dru the owner for being so patient with me!) and he took down over 80 miniatures hanging in our living room and kitchen to clean the windows. For sure, your guests will take notice of your miniature art pieces, especially at daytime when natural lighting highlights the beauty of your mini window décor items. Another way to decorate your window with miniature art is to put the tiny pieces into transparent jars like mason jars or bottles and line them all up on your windowsill. A lovely sight, isn’t it? Spruce up the bare walls of your room by installing floating shelves where you can display your new miniature pieces. Fill in the empty spaces in your closets by adding your mini art pieces. In your living room, allot a small table or a rack to show your adorable miniature art pieces for your guests to see up close and admire. To make them more visible, you can add an accent light for better illumination. If their size allows it, you can attach magnets to the back of each piece and mount all your miniatures on your refrigerator. Better if you can form a recognizable pattern, something that piques the interest of any guest who will pay a quick visit to your fridge for some cold drinks. Your workspace at home does not have to be dull and boring. Make it come alive with a set of miniatures on display at your table. If you do not like clutter on your table, you can find a spot, like in a cabinet or shelf, for your favorite miniature pieces. Whether in your living room, kitchen, staircase, or even bedroom, having a wall decorated with miniature paintings that are mounted as a collage will definitely grab attention. A shadow box display is a unique way to show off your miniature art collection. 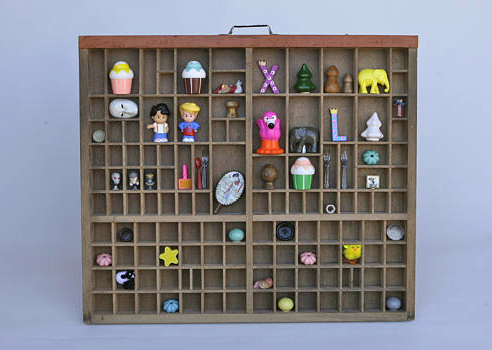 You can either create your own shadow box using wood, glass, and other material or order one online. Back when printing was done with individual blocks of metal type, printers used large wooden drawers with many compartments to hold each individual piece of type. if the draw is hung on a wall, each compartment becomes its own shelf to display your miniatures. These drawers are real vintage looking and really add something to you collection display. You see those tiny replicas and you wonder how they come to be. Whether you are an avid enthusiast or just someone who is curious about it, you will find the following facts about miniature art interesting. Miniature art is neither a new art trend nor a form of novelty art. It is known for its intricate details and compositional strength that can rival any large painting. Although it may seem to have arrived just in the recent years, this fine art actually has been with us for ages. Its origins can be traced back to the 7th-century manuscripts and book paintings. Nowadays, miniature art works are often displayed in homes and offices. Amazing workmanship goes into each miniature art work. Isn’t that fascinating to know? The size 6×6 painting is a popular size for miniature works. Because of the intricacy and the minute details that need a considerable amount of attention and time to produce, miniature art can be more tedious to create than larger pieces of art. Isn’t it ironic given the huge difference in size? This is why only a handful of artists have the discipline, patience, and skill for this art form. Got a cramped condo or apartment space where you cannot put as many décor items as you would like? No problem. With miniature art works, you can add a personalized and artistic touch to every nook and cranny of your home without worrying about fit. 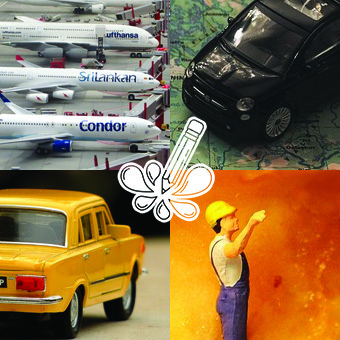 Don’t these fun facts make you appreciate miniature art all the more? Stay tuned for our next list of trivia about mini art. 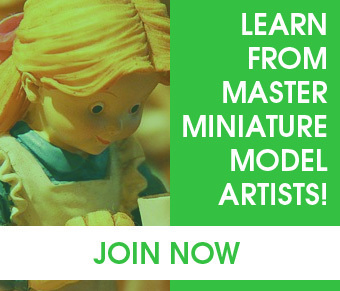 Are you starting your journey towards being a miniature artist? One great way to hone your craft is to create something small yet awesome. Here are some great ideas for miniature clay art that you can try. Do you love art and desserts? Combine your two loves by creating a mini and immortalized version of your favorite muffins and cupcakes. 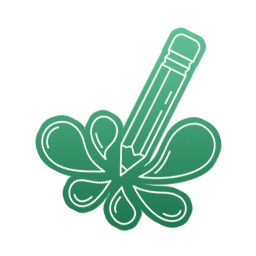 For an interesting element, make some in a variety of colors. Imagine tiny books that fit in a baby’s hand. How cool is that? They can be made into keychains, refrigerator magnets, and lots of other cool stuff at home. You can even give them away as souvenirs for weddings, anniversaries, and other events. Having a baby shower? Liven up your party display with miniature marquee signs if you are going for a carnival-themed party. You can feature the names of your guests and give them away as keepsakes to commemorate the day. Adding fun to your event has never been this interesting. Do you have empty and unused bottles of perfume and nail polish gathering dust at home? Whip them out and turn them into lovely miniature vases. You need only acrylic paints to color these bottles up! Voila! You have cute little vases to display on your windows or working table. Don’t forget to add some mini blossoms. Diminutive clay pots? Why not! Instead of buying those ready-made ones, you can make use of your leisure time creating cute mini pots that you can display on your windowsill. Yes, you read it right. You can make realistic-looking soda pop bottles using cardstock, syringe, nail polish, paint, and sequins. The best part of this DIY project? You can make each one in less than a minute. Spread holiday cheers with a personalized touch by making your own mini Christmas trees made mostly of beads. For sure, the children at home will love your creations. This DIY mini craft project serves a functional purpose–you can use it as an actual pouch. You simply need leather for the pouch and a few colorful beads to decorate it. Show your love for food and display your work on the fridge door where you store your food. You need polymer clay to make miniature food-inspired decors. If you have a little daughter, you can save tons of money making your own mini dollhouses instead of buying ready-made ones. It is also a great opportunity to get your creativity and talent working. If you’ve got more time in your hands, you can even make a DIY mini fireplace, furniture, and doll. Miniature cookies in a variety of shapes, textures, and colors can be made to look like commercial and homemade baking. For your little boy, a nice idea is to make miniaturized versions of his favorite comic book characters like Batman, Spiderman, Superman, or The Hulk. Are you a budding artist trying to get your hands on painting miniature art for the first time? Daunting as this idea may be, you can create your own little gems learning how to paint miniatures. There is no room for mistakes when making a miniature art piece. One minor error can easily magnify itself. Thus, it is very important that you choose only the best paints and brushes from art supply stores. The quality of brushes that you will use for painting a miniature art is as important as the surface. Regardless if you will use synthetic or sable brushes, make sure that you get ones with a fine point so that you can easily paint the tiny details. The two most common painting techniques for miniature art are hatches and fine stipples. How can you learn them? Observe how other miniature artists do them. Go for smaller handheld-sized pieces and small-format pieces rather than the bigger ones. Their surfaces are faster to paint and it is a lot easier to spot and correct any mistakes than when you work with a bigger miniature. More than the colors and textures, composition and design are crucial to producing an awesome miniature art. Like in traditional, larger art, your art work should be able to draw your viewer into your painting.